United Archives was founded in Amsterdam in 1956 as Kövesdi Press Agency, and was re-baptized in 2007. Kövesdi originally was a press photo agency with offices in all major European cities, supplyingpublishers with pictures linked to cinema, actors and television. It produced material on sets, but also acquired archives with images dating from the beginning of cinema history, as well as complete photographic oeuvres. These mostly stem from the early 20th century onwards, and show all aspects of everyday life, cultural, historical and social events. Anno 2014, United Archives is still very much attached to its cinematographic roots: it’s involved in a project to produce stills from early documentary films, revealing stunning details that go unnoticed in moving clips. A huge part of United Archives’ collection remains unexplored, and – in view of the whole – only very few of its images have been digitized so far. Europeana and the collections on Photography have proven to be an excellent occasion to explore and showcase a substantial amount of these unseen photographs. img. 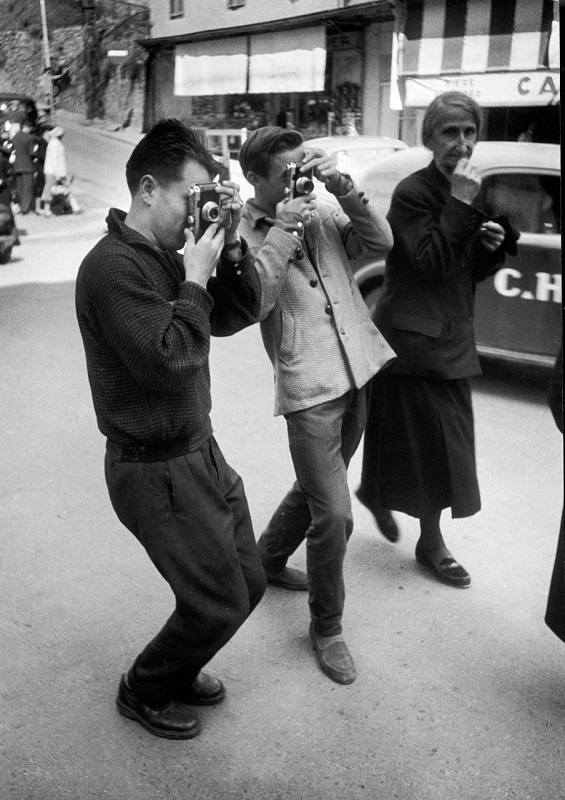 Photographers in action, 1965 © United Archives.